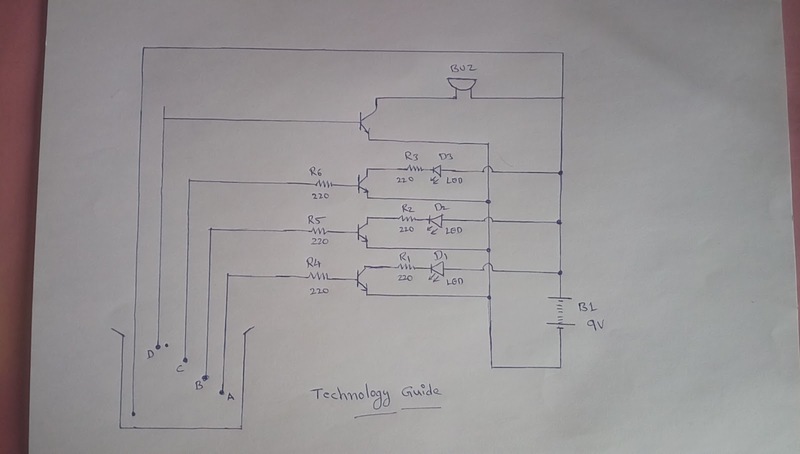 Water Level alarm circuit is made by BC547 Transistors, in this circuit four transistors are used. 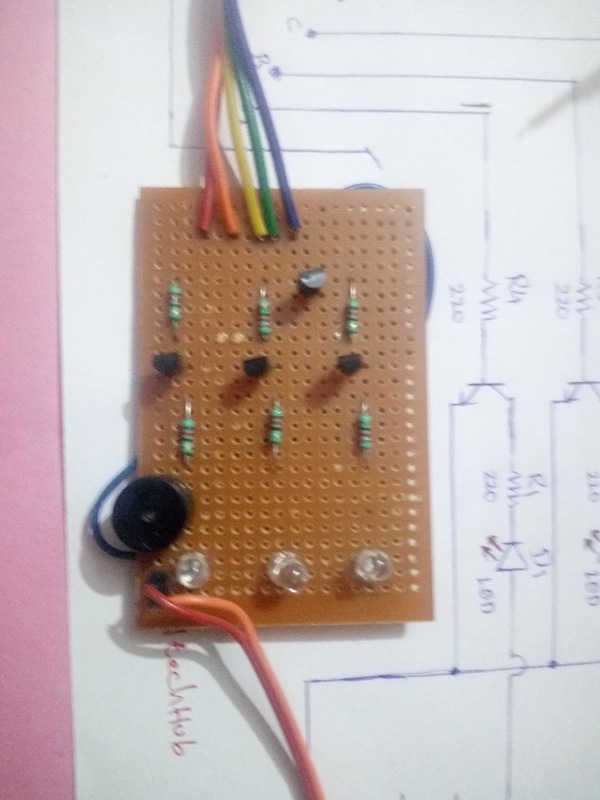 In this circuit transistor used as simple amplifier and 9V battery used as power source and three LED's are indicating purpose like water level condition of water tank. This project making simple at home purpose and small school projects because circuit having only resistor and transistor combination no complexity in circuit. Water level indicator circuit working is simple to understand the circuit shown above like this, it has four inputs for making this circuit. 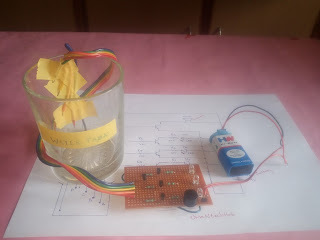 The inputs are A,B,C and D which are immersed in the water tank, but in this project we used water glass used in place of water tank for testing purpose. Here all the inputs keep inside tank with different positions like Low, Middle, Top and Over flow. 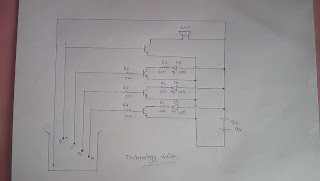 9 volts supply directly immersed in tank below position which position is empty Tank, another position A called 25% tank full , another position B called 50% tank full and C called Full Tank position and final position is over flow which is D. 9 volts toches the "A" and indicates lower LED and touches the "B" position LED middle will glow which means tank reaching Half Tank and 9 volts wire touches position "C" and indicates Green LED which means Tank Full and finally touches the "D" and Buzzer will ON and Alarm ring starts. 0 Response to "How to Make Simple Water Level Indicator Alaram at Home | Homemade Water Tank Alaram DIY Project"